Advent day 16. 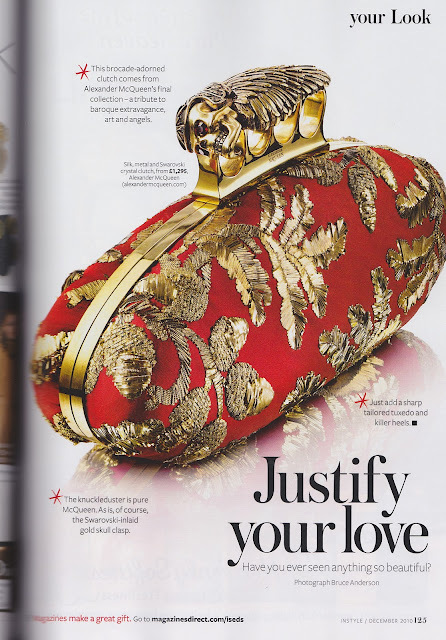 This Alexander McQueen clutch caught my eye as I was flipping through the December issue of InStyle, because it's absolutely perfect. Just look at the colours, festive and year-round at the same time! And that signature McQueen skull... it comes with a hefty price tag though, (£1,295!). I think this is one best left for the wildest dreams wish list.